As the New Orleans Saints were in the midst of yet another floundering campaign that would send the Black and Gold off to their third consecutive losing season, WDSU sports reporter Fletcher Mackel angrily called out Saints/Pelicans owner Tom Benson for the lack of success of both franchises, saying the billionaire needed to apologize to quarterback Drew Brees and center/power forward Anthony Davis for wasting their talent and status as all-stars on mediocre teams. It was a gutsy high profile statement by Mackel. And he was dead right. Things would get worse for the Saints in 2016 before they would get better the next season…and that only came after dropping the first four games. And though the Pelicans would make the playoffs in the 2017-2018 season, they were nowhere in serious contention for an NBA championship, getting bounced out in the second round by the Golden State Warriors. And then the talent fled the sinking ship in the off-season. Point guard Rojon Rondo left the “nest” after one season, traveling to join LeBron James’s new kingdom, the Los Angeles Lakers, while center DeMarcus “Boogie” Cousins shuffled off to Warriors. And just like that AD, found himself alone on a team that wasn’t heading anywhere fast. On Monday, Davis’s representatives informed the Pelicans front office of what had been inevitable: the Brow wanted out. And soon. And nobody, no matter how committed a Pelicans fan you are, should blame him. After being drafted by the Pelicans with the first overall selection in 2012, Davis decided to stay in New Orleans signing a five year extension in 2015. It was both exciting news and in a way putting the Pelicans organization on notice. If they couldn’t figure out a way to compete, then it was obvious that would be Davis’s first and last contract extension with the team. After making a blockbuster trade to land Cousins and making it rain on some free agents, the Pelicans never reached the point of incentivizing Davis’s return. NBA players all want to get paid, but they also want to win. And some are willing to forgo cash to get a ring. AD’s patience and confidence with the team ran out before his contract did, hence the trade request. 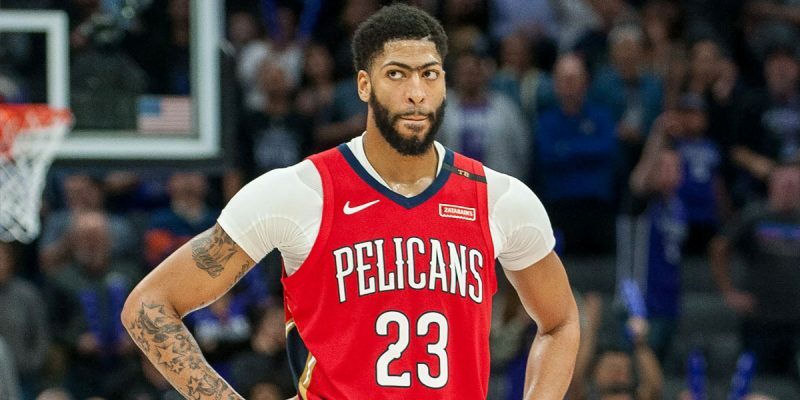 By departing New Orleans via trade, Davis gives the team a chance to salvage some value from their investment as the team would receive significant compensation for one of the most dominant players in the game. However it is patently obvious that the man negotiating what would be a monumental swap should not be the same person who squandered cash and draft picks failing to build a competitive team around Davis. General manager Dell Demps needs to be out the door before Davis. To entrust a franchise rebuild to the same man who could not construct a truly successful team around greatness would be the definition of sports executive insanity. Davis deserves a chance to win a championship no differently than Saints all-time great linebacker Ricky Jackson deserves to earn a Super Bowl ring, even if with the hated San Francisco 49ers. City Champ exuded greatness inside the Superdome though it was apparent that under Coach Jim Mora that the Saints were not going to cross that elusive playoff win threshold. I don’t think a single Saints fan begrudged Jackson for getting a well-deserved taste of Super Bowl success, even with an NFC South rival. Nor should any Pelicans fan be bitter about Davis’s decision. And there’s little doubt that Davis will see a championship long before his current team will. Thank you AD for giving it your all on the court and giving New Orleans a chance to make something happen.